Ed is Chairman and co-founder of EDW Technology. 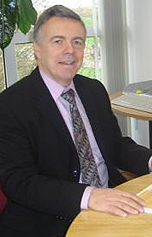 Ed has overseen the continual growth of his group of independent companies for over 20 years. He started by forming Ed White & Company in 1992 and went on to become joint Managing Director of White, Clarke & Partners. These two companies merged to become the White Clarke Group. The White Clarke Group's award-winning software platform offers the end-to-end solutions of choice for Asset Finance, Automotive Finance, Leasing, Contract Hire, Wholesale Floorplanning Finance and Vehicle Management companies in 25 countries around the globe. The White Clarke Group is the largest Asset Finance Technology supplier in Europe with a team of almost 500 Finance and Technology professionals. The White Clarkes Group’s blue chip clients include names like Lombard, FGA, Royal Bank of Scotland and Volkswagen Financial Services. Ed has grown the White Clarke Group both organically and through acquisition. Acquisitions have enabled it to become an international provider from its three regional centres – Toronto for North America, Sydney for Asia/Pacific, Munich for Europe, and Milton Keynes - Head office and development. In 1995 Ed identified an opportunity within the market for another sister company that could focus on providing products and services to the utilities industry. As a result of this, EDW Technology was formed to target this specific market.